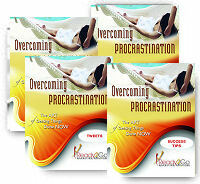 Success Tips: Overcoming Procrastination - The Art Of Getting Things Done Now! from Ready2Go Marketing Solutions, Inc.
One year after Alexandra Scott was born in 1996, doctors diagnosed her with Neuroblastoma, a crippling, yet common form of childhood cancer. On her 4 th birthday, she told her mother she wanted to start a lemonade stand to help other kids with similar conditions. Alexandra’s mother was a busy woman, but she saw the fire in her daughter’s eyes and agreed to help her. The idea proved successful, igniting a charity called Alex’s Lemonade Stand, which has raised more than $1,000,000 to help support cancer research. Although Alex passed away at the age of 8, her charity continues with thousands of volunteers across the nation. Sometimes, we have ideas with the potential to make a difference in the world, but we put them off until they fade away or seem impossibly large. Procrastination is a dream killer that keeps you from living your life to the fullest potential. You wait until you’re in the mood to write, or in better shape before you start playing your favorite sport again. You may want to go back to college but you’re waiting until you have the money. My friend, stop waiting. Your life is calling you. Pretend Tomorrow Doesn’t Exist - You don’t know for sure that you’re going to see another sunrise. Life took Alexandra at 8 years old, and it can take any of us at any time. Once you realize tomorrow may not come, you can prioritize what you want from today. Put Your Dreamer In Charge - Your dreams may not make sense from the outside. Many times we let the opinions of others dictate our decisions. Put your critic in the back seat, and let your dreamer take over. If nothing else, you’ll have more fun. Focus On The Bigger Picture - Accomplishing your goals feels great. 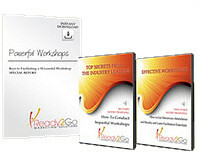 Taking steps toward your dreams improves your self-esteem and creates motivation momentum. When you feel good, you do good, and when you do good, the world becomes a better place. If one child’s dream of a lemonade stand raised over a million dollars for cancer research, what can your dreams do? You were born for greatness, and your voice deserves to be heard. Don’t wait any longer. What will you do…TODAY…to activate your dreams?